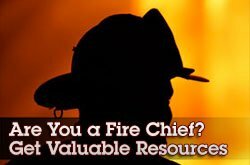 North Carolina Fire Chiefs can find valuable information on this page to assist them in their daily job functions. Roster questions, important deadlines, Relief Fund questions? Click the links below to get answers to questions you may have courtesy of the NC State Firefighters' Association. Click here for the New Fire Chief Handout. This very helpful information is great for any NC chief. Take a look at the information. You might be surprised at some of the important responsibilities and tasks that are required of a chief.